Please join Gourmet India, Good Eats San Diego and Think Dignity on Tuesday, August 9th as we Dine for Dignity and raise money for San Diego’s homeless community. 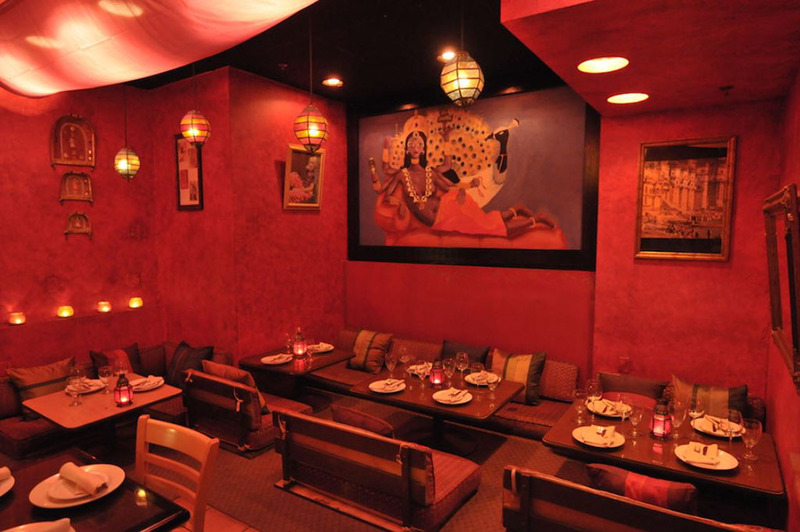 Gourmet India is a family owned and operated restaurant. It all began in 1977 when Chef Salwinder Khinda moved to Germany from the northern part of India and began working as a line cook. During his twenty-five years in Germany, Chef Salwinder Khinda refined his culinary skills and developed his love of cooking. He became a chef at a French and Italian restaurant called Cafe Literaturhaus. In the meantime, Chef Gubi traveled and lived with his father in India and Europe. In 2003, Chefs Salwinder and Gubi moved to California and opened an Italian restaurant in Old Pasadena. Five years ago, Gourmet India opened its’ doors in downtown San Diego. The chefs use their collective experience, tradition and the freshest ingredients to create fine Indian cuisine. The atmosphere is filled with various elements of Indian culture. The colorful and artistic decor evokes feelings of comfort, warmth, exoticness, and adventure. They have a variety of seating options including: an outdoor patio; standard indoor tables and chairs; as well as traditional floor seating with low tables and pillows so that customers feel comfortable and welcomed. 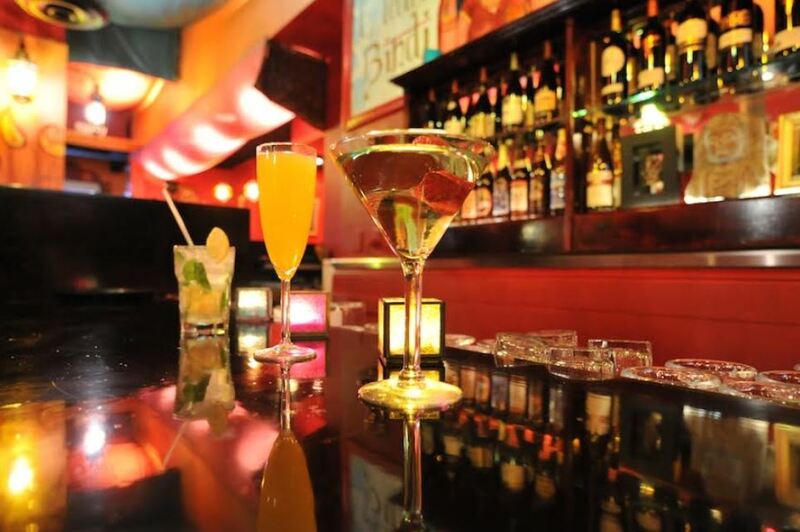 World lounge music takes you on a journey and Bollywood movies are displayed for the customers viewing pleasure. Food presentations highlight an exacting attention to detail! They believe that clean presentations give an authentic flair to classic presentations of Indian cuisine. Their philosophy is that food should be an experience! 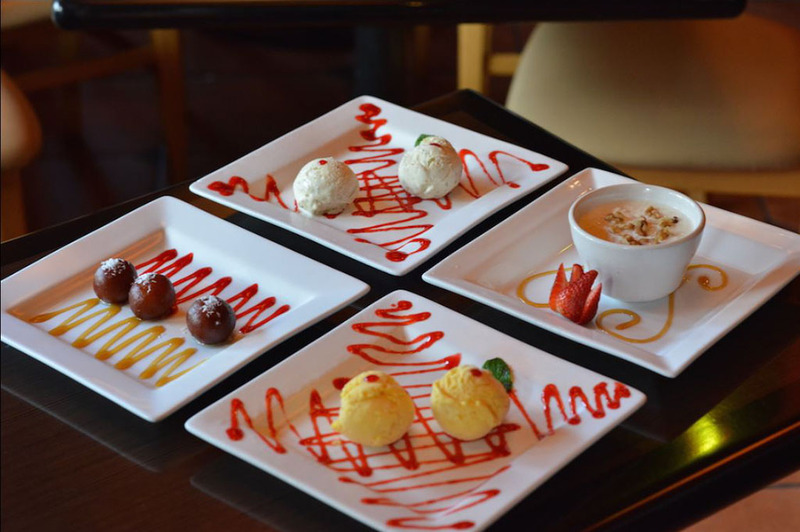 At Gourmet India, they believe that their customers deserve the best! Dishes are made to order with the freshest ingredients! Their naan is scratch-made and baked in a traditional tandoori clay oven, as are the kebabs, tandoori chicken and paneer. 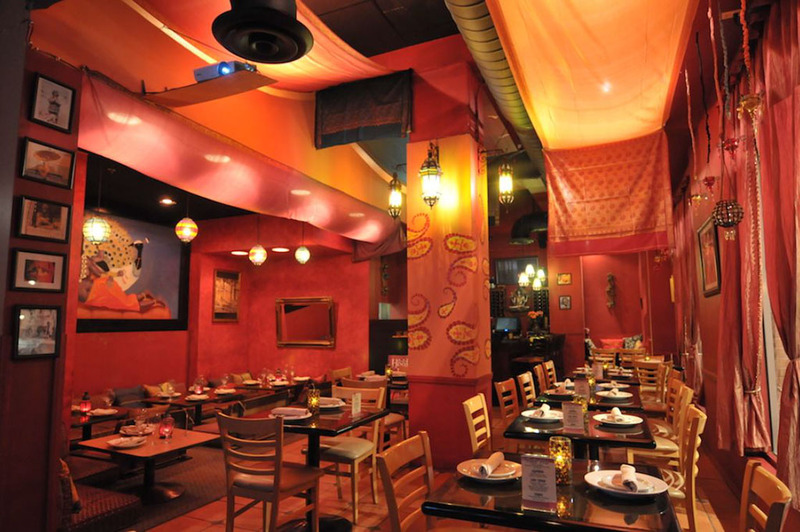 At Gourmet India, they pride themselves on rich and diverse flavors! They have a varied selection of popular Indian dishes. In addition, they provide many choices for both vegetarians and non-vegetarians alike. Over the years, they have refined techniques and anticipate that you will taste the depth of flavor in each and every bite! It’s just that GOOD, can’t go wrong! Our freshly baked bread stuffed with minced lamb, chopped onions and served with mango chutney. Great way to explore the different flavors of our cuisine. Homemade lentil crackers (lentil papadams) served with our freshly made mango, pumpkin, mint chutney, and spicy chutney. A savory snack served mostly by street vendors, native to Mumbai. Basically it’s puffed rice, mixed with finely chopped onions, potatoes, wafers, chickpea crisps, with our tamarind & spicy chutney. (VERY LIGHT) Made spicy upon request only! Excellent coconut flavored curry. A curry made from a mixture of chopped red bell peppers, red onions and coconut with hints of lemon grass. Most popular curry! A must try for someone who is trying Indian food for the very first time. This curry is a mixture of tomato & onion purée with hints of traditional spices and a touch of cream. 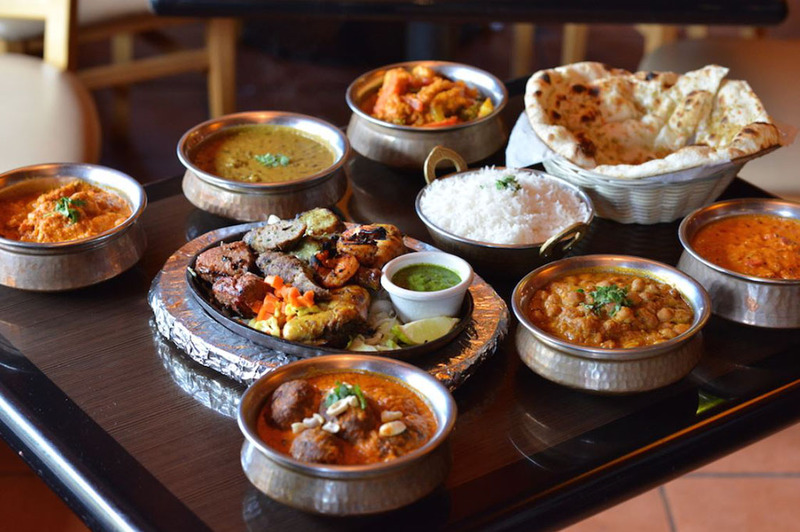 An assortment of Chicken Tikka, Tandoori Chicken, Lamb Kebab, Fish Tikka, and Tandoori Shrimp served with Naan. Homemade pistachio – Indian ice cream. To learn more about Gourmet India’s menu, please CLICK HERE. Gourmet India is a proud supporter of the Good Eats San Diego Foodie Week and Dine for Dignity. Gourmet India is donating a percentage of all sales on Tuesday, August 9th to Think Dignity.